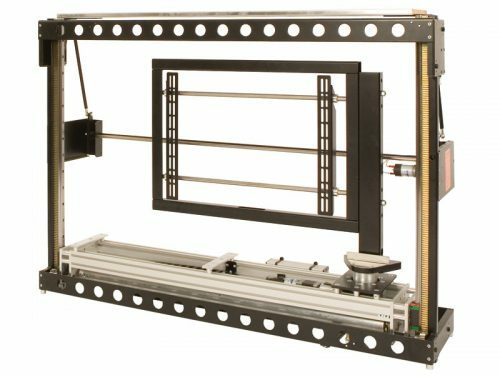 The Plasma TV Lift and Hinge mechanism is a unique concept that allows a screen to rise from a cabinet and hinge into a room. 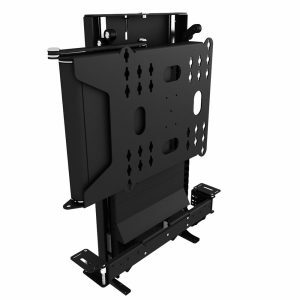 Designed for when a cabinet is in the corner of a room, the Plasma TV Lift and Hinge is a truly impressive mechanism. 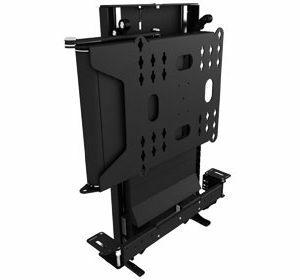 Allowing rotation up to 90 degrees, the added functionality from the Plasma TV Lift and Hinge ensures that the optimal viewing position can be achieved in the most discrete manner.